These days, marketing isn’t just about presenting useful information to audiences, it’s also about weaving that information into compelling stories to create maximum impact. Data visualization provides a way to do this by combining the informative power of words with the visual power of images. By combining copy and data visualizations you can create truly compelling content. Let’s take a look at five examples of how marketers have used data visualization to tell stories that are compelling and foster high levels of sharing and engagement. Some marketers work in teams, and some take a more solo approach. Entrepreneur and content marketer Ryan Robinson presents slick, personable, and engaging content directed towards an audience of budding entrepreneurs and small startups. 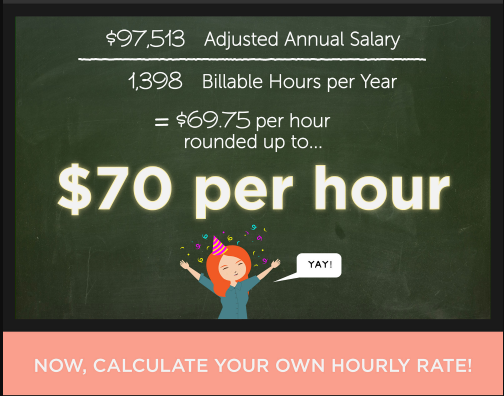 This infographic walks freelancers through how to calculate their hourly rate. It drills down deep into the process of freelancing, guiding readers through the intricacies of breaking out on their own in a visually engaging way. The visualization garnered 1,500 shares on Pinterest and a healthy amount of social media engagement. Because he is primarily a marketing one-man-band, Ryan puts a strong emphasis on finding creative ways to create unique, engaging content. “I’m always thinking about more unique and interesting ways to engage my audience,” he tells us. 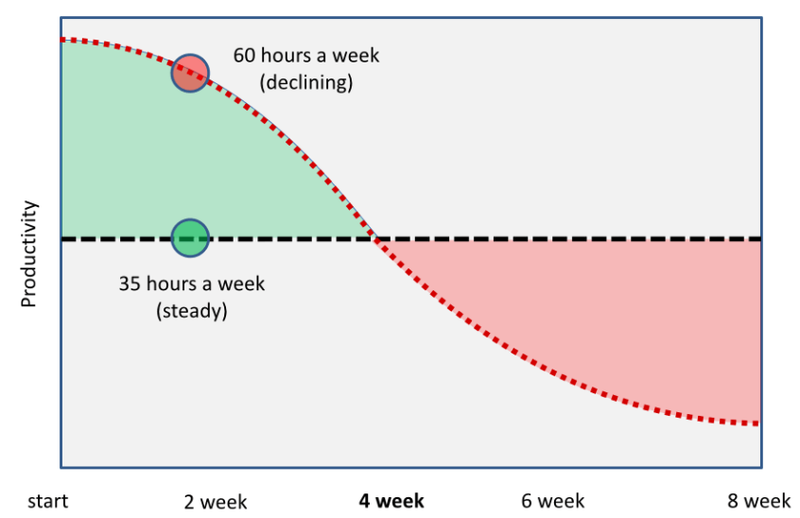 He explains how, when making the point that working 35 hours per week offers optimum productivity, it added extra impact to integrate a visual representation of his argument. There’s something about the way the graph illustrates the falling trend of productivity that brings his point home in a way that copy alone struggles to. His work is peppered with these kinds of examples. Using data visualization doesn’t mean you have to create the data visuals yourself. Datapine is a database software that helps users analyze data without the need for being a genius number cruncher. Their blog features a data visualization strand where they dive into the world of data presentation, looking at how it can be efficiently used, what it means, and even how it can be misused. 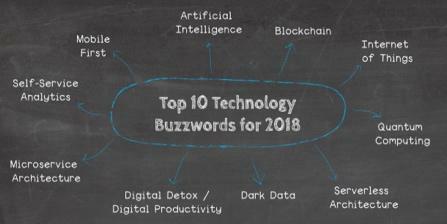 Their blog also makes a good trade in “Top 10” infographics; using a simple word-cloud on chalkboard format, they add interest to what is, after all, a blog about data (no offense intended, we love data too)! 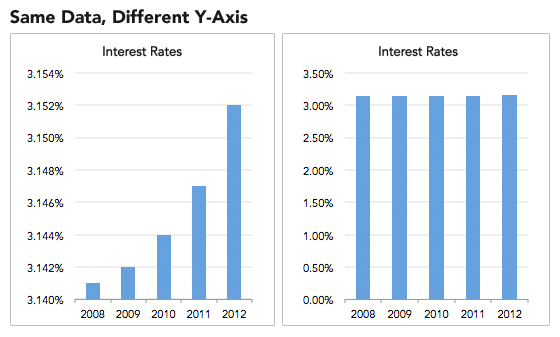 Datapine shows us how the power of data visualization can also be used to mislead. 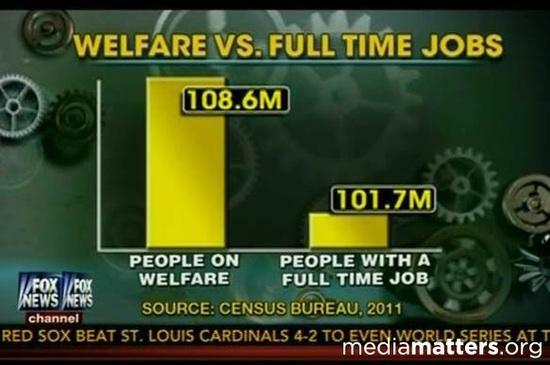 They point to this example of how Fox News misrepresented a graph comparing people on welfare in the US to those in full-time work; while presenting reliable facts from the Census Bureau, Fox News used visuals to mislead. In their post, Datapine goes into detail about misleading data visualization and offer advice on how to avoid these sorts of practices in your work. Online current affairs magazine Slate know how to use data visualization to weave a compelling story. Their infographic on the complex web of relationships in the Syrian conflict was a great way of making an eye-watering complicated affair tangible for audiences. The visualization used a grid of emoticons to break the various political relationships down into categories of friends, enemies and “it’s complicated.” Readers could use the handy grid system to cross-reference how different players in the civil war relate to each other; by clicking on each emoticon, a pop-up would offer a text summary of the each group’s role in the conflict. 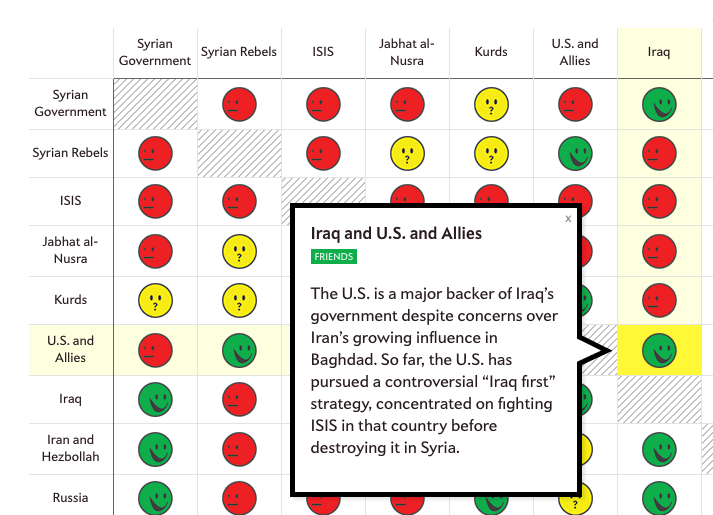 The Slate data visualization was an ingenious way to show the contradictions of the situation, for example, the fact that the US and allies are friends with Iraq, despite the fact that Iraq is friendly with the Syrian government, who the US oppose… we told you it was complicated! 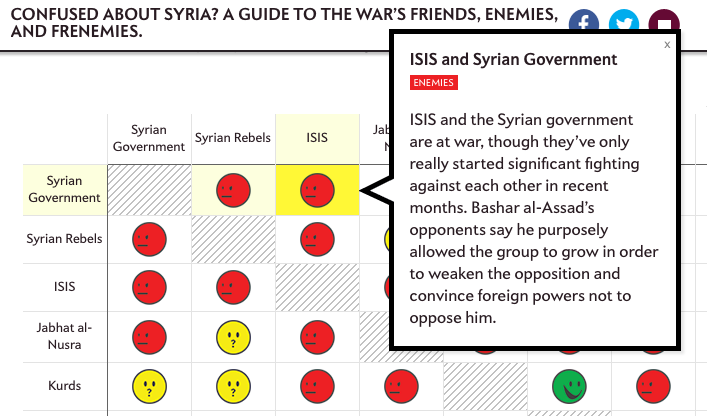 But Slate’s Syria infographic made such complexities accessible to the average reader. This infographic from Podio nailed it. We are all fascinated by how famous creative artists from history produced such fantastic work. By color coding the daily routines of great artists into a handy reference grid, it became easy to compare the routines of figures as diverse as Mozart, Dickens, and Banjamin Franklin. The result was tens of thousands of shares and comprehensive coverage across major content sharing platforms. This example shows that when it comes to data visualization, the sky is the limit. Or, more specifically, the sun’s the limit. Energy research organization Austria Solar drew on their own USP to create a data visualization video that would be viewed over 100,000 views on Vimeo. 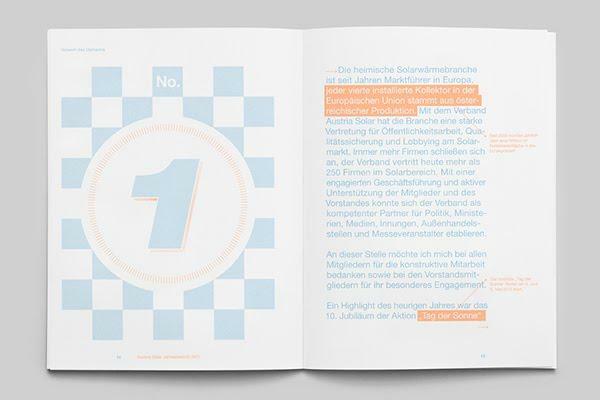 The innovative tech company produced an annual report on special solar paper which only displayed its content when exposed to direct sunlight. While this combination of data visualization, cutting-edge solar tech, and savvy press stunt is out of the budgetary reach of many marketers, it stands as an awe-inspiring example of the possibilities of data visualization to craft compelling stories that resonate with our sense of curiosity. What do these examples tell us about how to boost our storytelling prowess through the use of data visualizations? If we look at the Ryan Robinson example, it’s the level of thought and detail that went into his freelancer rate calculation infographic that knocked it out of the park. Having carefully broken down the steps involved in calculating earnings, he set about presenting them in a visually engaging way, using beautiful artwork that helped turn his points into something tangible (and shareable). Consider using a free infographic creation tool like Visme or Canva to turn your content into a compelling visual story. Datapine creates engaging stories by diving deep into the fascinating world of data presentation and drawing out the stories that help us make sense of our information-drenched age. They show that you don’t have to create visuals yourself to use them in your storytelling; by contextualizing existing data visualizations, you can create greater engagement with your audience. Slate took a famously complex subject (the Syrian civil war) with a high level of media interest and found an innovative way to offer insight for readers. The grid system they used to show political relations worked similarly as Podio’s creative routines graphics; using visual referencing to expose the relationships that exist in complex data. If you want to illuminate complex data in such a way, consider hiring a designer to do the heavy lifting for you, then publish it on your blog with accompanying copy. Sites like Fiverr and People Per Hour offer you affordable creatives who can get the job done creatively and efficiently. We hope these tips and examples have demonstrated how data visualizations can be used to craft compelling stories that take your marketing to the next level. The point is not to copy these examples, but to use them as a jumping off point for your content. Ultimately, success in marketing is about the unique stories you tell, and data visualization is a powerful way to make those stories come alive. Guest Author – Nabeena Mali, Head of Marketing at AppInstitute, a DIY app builder for small businesses.